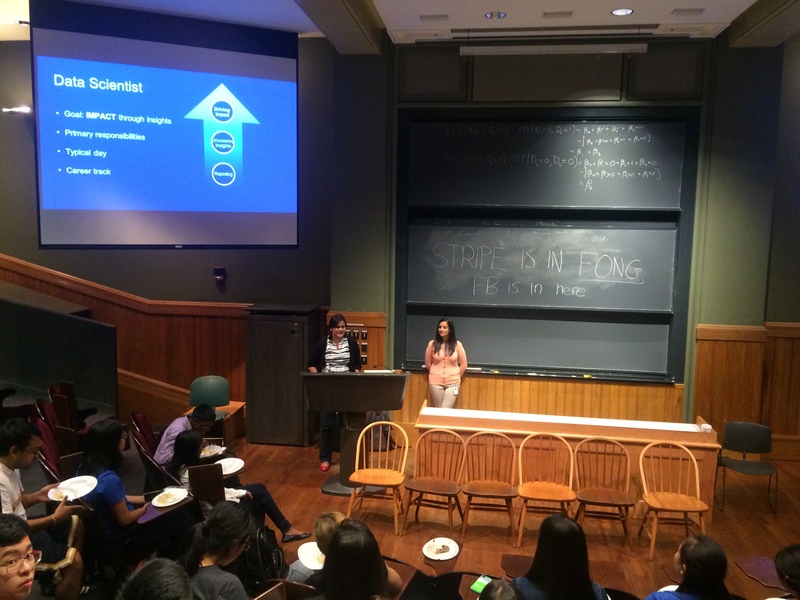 The second event in the speaker/discussion series was a data science and diversity tech talk hosted by Facebook on Tuesday, September 22 at 6 pm in Fong Auditorium, Boylston Hall. Around 20 people attended the talk. The Facebook Analytics team performs large-scale data analysis, identifies actionable insights, suggests recommendations and influences the direction of the business. They are the voice of data and evidence to drive success in all parts of the company including product development, user engagement, growth, revenue and operations. We learned how math is applied in their typical day-to-day responsibilities, how women are making significant contributions to technology, and how to succeed as a Data Scientist in Analytics. Gayatree Ganu leads a data science team on Search at Facebook, with a goal of making Facebook Search the best place to find and learn about anyone in the world. She has a PhD in Computer Science from Rutgers University and has a background in information retrieval, NLP, recommendation systems and machine learning. Gayatree is passionate about creating and fostering a culture of leadership among women in tech, and is excited about the opportunity to discuss Data Science and decision making, and the importance of confidence, coaching and mentoring for women in tech.